Jamiat attack on Hussain (as) Day at Punjab University urdu The terrorists of Jamaat-e-Islami\'s student Wing Islami Jamiat-e-Talba (IJT) on Thursday attacked the members of Imamia Students Organization (ISO) with bamboo sticks and stones and opened the indiscriminate fire on the organizing students to sabotage the program of Youm-e-Hussain (as). Beautiful salutation to Imam Hussain (a.s), his family (a.s) and his companions (a.s). Beautiful salutation to Imam Hussain (a.s), his family (a.s) and his companions (a.s). The presentation includes pictures of the great Islamic personalities who gave their everything for Islam. The final scene in the life of Imam Hussain, very emotional! Shaykh Zahir Mahmood is a Sunni Shaykh. Sunni & Shia Muslims love Prophet Muhammad (s) and his pure progeny, Ahlulbayt (a.s). Full DVD now available for purchase. Contact: [email protected] Clip from the Interfaith Hussain Day Drama held on January 11th, 2014. This year\\\'s theme was “Hai Haath Minnaz Zillah” Imam Hussain\\\'s [as] call on the day of Ashura: he will not live with humiliation. This was the first ever play about Karbala held in a professional theater in North America. Full DVD now available for purchase. Contact: [email protected] Clip from the Interfaith Hussain Day Drama held on January 11th, 2014. This year\\\\\\\'s theme was “Hai Haath Minnaz Zillah” Imam Hussain\\\\\\\'s [as] call on the day of Ashura: he will not live with humiliation. This was the first ever play about Karbala held in a professional theater in North America. Full DVD now available for purchase. 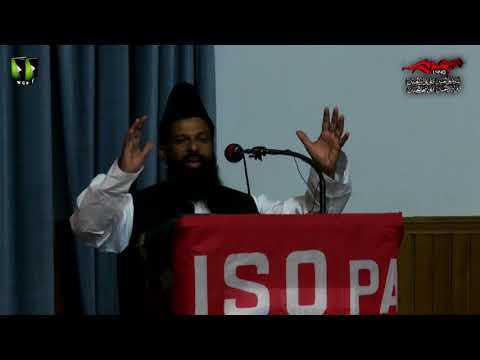 Contact: [email protected] Clip from the Interfaith Hussain Day Drama held on January 11th, 2014. This year\\\\\\\\\\\\\\\\\\\\\\\\\\\\\\\'s theme was “Hai Haath Minnaz Zillah” Imam Hussain\\\\\\\\\\\\\\\\\\\\\\\\\\\\\\\'s [as] call on the day of Ashura: he will not live with humiliation. This was the first ever play about Karbala held in a professional theater in North America. Live Performance on annual Hussain (as) Day, organized by Wali ul Asr School.